What does Module 2 cost? Module 2 is R1,600.00 including VAT – cash, credit cards and electronic transfers are all welcome. This will be a once-off payment, will include all your monthly tests and your certificate – NO hidden extras to sweat about! Each month’s lesson will give you considerably more than you had first time round too, with more to read and research on – believe me – you may even need that “month off” to catch up! But again, we’re not hard and fast about time here, if you take longer than 6 months – that’s fine. You go at your speed. A certificate will be posted to you on completion of the course just like the one you received after your first module. You’ll be asked to complete a mere 20 multiple choice questions about what you learned that month, and if you manage to get an average of 75% overall, we’ll give you a lovely certificate. Simple. Because this is a no sweat course, it is purely for your own information and enlightenment. However, it could possibly be helpful to those working in the health-related industry who wish to know how to go about achieving a healthier lifestyle and learn more about the real nuts and bolts of health. Fill out an Application Form and let’s get you started! If you can’t see this form or have trouble downloading it please email us on pa@sallyanncreed.co.za and we’ll send you a Word attachment of it. You might find that you want to take this further once you have completed one or more Modules, in which case, try the superb 6-12 week Diploma of Nutritional Products Information (for a short course) or the outstanding 1-2 year Diploma in Clinical Nutrition. These are stunning Australian courses which come with a beautiful Diploma issued from Australia once you have passed the course. So let’s get going. The entire course is done on email which means you don’t post anything. If you want to print it out you are free to do so, but please do not disseminate the information from the course as it is copyright. Module 2 of the e-Nuts & Bolts no sweat Course will carry on in the simple model of presenting nutrition demystified, offering practical guidelines for healthy living from a sound nutritional standpoint. 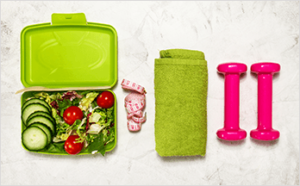 It’s informal, it’s simple, it’s fun – and you’ll learn all about how to be healthy – no sweat. What does this 2nd Module offer? In fact you want to know just a little about a whole lot of things– such as amino acids, enzymes, minerals, vitamins, GMO foods, good and bad foods, food comparisons, supplementation, general healthy living, quick and healthy recipes, tips, health facts and how the “healthy half” live. It’s not possible to include everything here, but as you can imagine the potential is huge. I’ll be open to suggestions and ideas anytime as we go along – and there will be a component of the course which will change regularly to include current topics of interest on the nutrition scene. But always remember – this course is NO SWEAT! It’s called the e-Nuts and Bolts course because that’s exactly what it is; it’s not the whole “engine‟! You won’t find fads, way-out streams of thinking or weird treatment methodologies. It’s literally a nutrition course “according to me” as I have researched from the experts, experienced in practice, and what I have found helpful to so many people for over 2 decades. In fact – it’s a different approach entirely from any course you’ll probably ever do – there is no “standard” I’ve based it on – which I know sounds scary – but maybe it makes it more interesting and certainly not boring. I’ll follow an outline, but to keep it interesting and moving all the time there will be an enormous variety of what will be covered in each lesson. Very importantly – there is no agenda to sell you anything under the guise of a course. This is so often why “courses‟ are put together. I’ll make recommendations where I see fit, but there is no one group of supplements or anything I’ll bang on about hoping to get you to buy stuff from me!! I am an independent entity, and haven’t “sold my soul‟ to anyone or any company, in order that I can remain completely impartial to the best of my ability. I do have my own vast supplement range which you are most welcome to enquire about and get a price list for plus I’m the author of 9 books – but I don’t push anything on you! Module 1 comprised 5 “lessons‟ – which you could do over six months – we gave you a month off! If you enjoyed Module 1, and have decided to do Module 2 – we’ll give you another 5 “lessons‟ over 6 months with a month off. I promise not to get too technical so that it remains a basic, no-nonsense, down-to-earth and very practical course which you can apply to your daily life! Remember: No Sweat!